It’s been 264 days since I last bought anything new, not because I don’t have the money, but because I decided that I had enough stuff in my life. Well that ‘buying fast’ came to an end today with the purchase of a Surface Pro 3. I’ve owned a first generation Surface RT and Surface Pro in the past, both of which were quickly sold for a profit because they didn’t mesh well with my needs, but I’m hoping the Surface Pro 3 is different. The key things that made the SP3 the ideal device whereas the previous versions failed that test include a fabulous screen, a form factor that’s close to A4, lower cost, light weight and all-day battery life and design for laptop use. This post complements my first thoughts on the SP3 that I wrote on the day that it launched. Let’s step back a bit though. I already have a great x230 laptop, an iPhone 4S and an iPad Mini with Retina display, so I’m pretty spoilt, by what I consider to be the best light weight hard use laptop money can buy and the best mini tablet. The iPhone 4S is getting a bit old now, but it meets by needs for now. Unfortunately I know that something’s missing from my device line up because I’ve owned tablet PCs in the past, in fact I owned the best tablet PC that money could buy 10 years ago the classic TC1100 which until now has never been bettered. Using the TC1100 taught me that there’s more to a tablet than the iPad can give. The iPad is without doubt the best research and reading device I’ve ever used and it has the best apps, but for key use cases it’s lacking. The ability to read large Word and PDFs, typically A4 size. This is another key part of my job and whilst in theory I can do it on my laptop, I rarely do because many text books, magazines, product brochures, whitepapers and analyst reports are just too much of a struggle to read, my iPad mini with retina display in theory has good enough resolution but it’s just too small. The ability to sketch on the screen when I’m hosting a video conference, I use Zoomit for this. I’d love to bind the pen button to Zoomit draw mode. After several weeks thinking through my options I’ve decided that even if an iPad pro turns up in the next 6 months, it’s not going to fix these issues and so I need a Windows tablet. If I need a Windows tablet there really is no other option that meets my needs, so it has to be a SP3. I like the flexibility of using the laptop and tablet as complementary devices. I do this a lot with my iPad today. For example I will be scanning my RSS feeds while attending a web conference. Fortunately I can now restart my buying fast because I already have a nice bag that I purchased when I was trialling the original Surface Pro which should work fine. I’m still going to be keeping my iPad as it’s much more portable and it also acts as the mobile 4G hotspot for my laptop and soon the SP3. 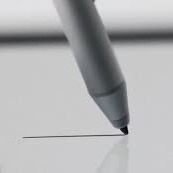 The first photo in this blog post is of the Surface Pro 3 pen, because in deciding to buy the SP3 the experience of using the pen was the key tipping point. 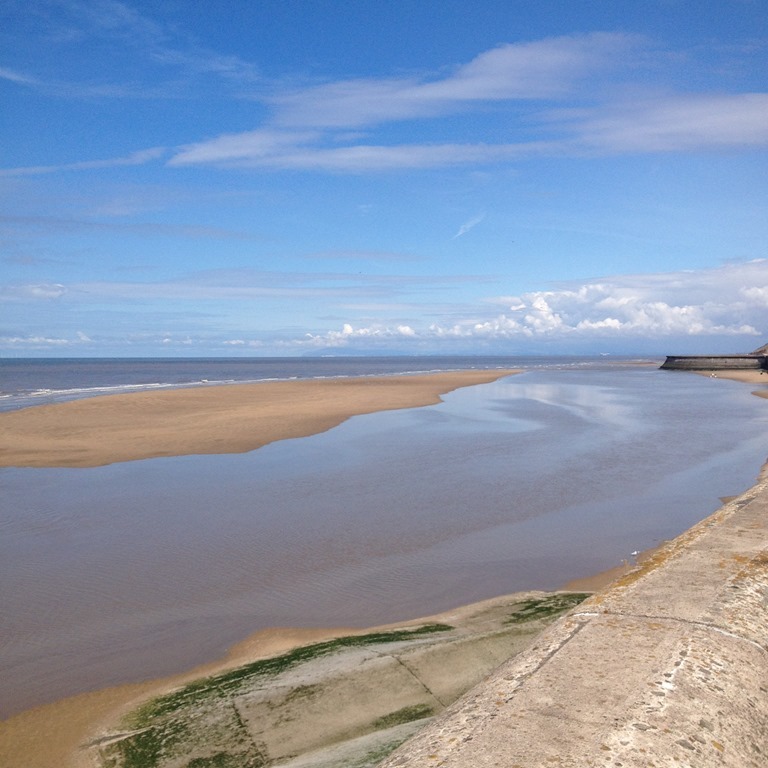 It’s my custom though to provide a photo of some nice scenery with each blog post, so today I chose the view north along Blackpool prom, almost exactly at the spot where I made the decision to buy the SP3 today. Do you do bidirectional syncing? If so do you trust it? I keep my main laptop as my primary source and sync one direction only to all my devices. I sync two desktops, external backup drives, my Airstash wireless storage for iPad and my Laptop bidirectionally. And I might add without failure, yes, I can trust that the latest documents are synchronized to all my devices. I use a product by Heatsoft, called “Automatic Synchronizer”. Tell it the folders or drives I want synchronized or mirrored an it takes care of the job for me. The ability to put in file filters, folder filters and rules for synchronization are superb. I’ve been using it for years now and it is affordable. All my pictures, and documents are synchronized between my NAS drive, my Backup drive and my Desktop computer and it takes minutes to synchronize new files, it only synchronizes new files once I’ve got a copy on my backup drives.